Red 2006 Honda element, reliable and sturdy. The engine has had a lot of issues, we have had to take it into the shop multiple times. There are only ac/ heating vents in the front. Shakes when I get up to/try to go faster than 45 mph. Very sturdy vehicle and roomy once you sit inside. I was rear-ended once and it barely made a dent and everyone in the car was fine, this vehicle is built to withstand impact. Does not have automatic lights, must turn on headlights manually and remember to turn them off. I like the red paint it came in. 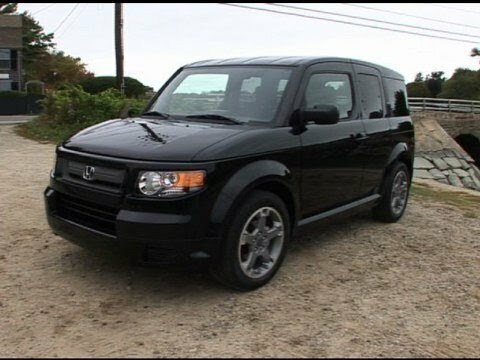 Honda element is great on gas and ready for adventures! My Honda element has been a very reliable car, no major issues since I got it, which has been over 2 years now, we maintain the good functioning by doing the regular services like oil changes, tire rotations and stuff. I love my car cause it gives an adventurer look and the seats become a bed if you want to take it camping which we have done! Pretty fun! It’s very good on gas since is 4 cylinder but that also makes it a little slow, that is the only thing I do not love about it. The space the car offers is amazing! It offers a lot of room. I am a full time college student that also commutes, having a car in general is amazing. Not only that having a car I do not have to pay for and is paid off is a privilege. The car itself has amazing space for tailgates and carpooling. But do to the amount of miles and just the age the car has reached its toll. It is constantly in the shop getting something done. And the shape of the car leaves a lot of blind spots which is a challenge.